Why are historic homes so appealing? For those who love everything vintage and want to preserve the beautiful in our communities, historic-style house plans are ideal designs. Some potential homeowners are inspired by homes of U.S. Presidents, and others are drawn to designated landmarks in old neighborhoods. 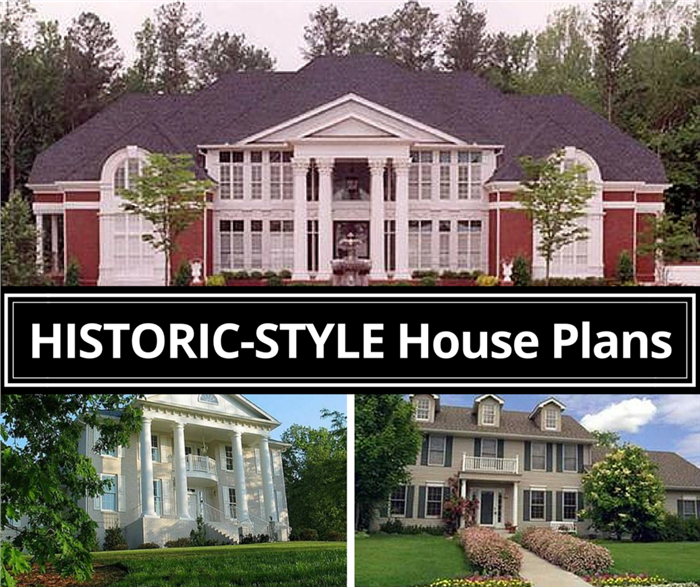 Whether it’s a majestic presidential home, a quaint structure in New England, or a charming house in the South, historic house plans have fascinated and captivated imaginations with their charm, character, and timeless beauty. Want a Presidential touch? Montpelier (top)—home of James Madison, fourth President of the U.S.—has rolling hills, a formal garden and wonderful views of the Blue Ridge Mountains of Virginia (Photo: Public Domain). 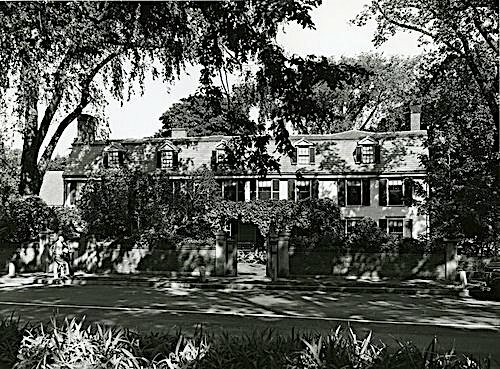 On the right is the old “saltbox” house called Peacefield in Quincy, MA, which was home to John Adams, the second President of the U.S. and John Quincy Adams, the sixth President (Photo: Public Domain). For vintage house buffs, history and films provide the first seeds of interest in historic house plans. While the architecture enthusiast is most likely familiar with Presidential residences, there are others who pay close attention to memorable homes featured in movies. Not quite as popular as other Presidential retreats, the Gothic Revival summer home at The Old Soldiers’ Home in Washington, D.C., is a lovely structure that can be adapted to modern times. Known as the Lincoln Cottage, the summer residence was also frequented by Presidents James Buchanan, Rutherford Hayes, and Chester Arthur. In keeping with the demands of the times as well as potential homeowners, architects now look to actual—and famous—homes for ideas in designing historic-style house plans. These contemporary historic home plans include details and accents that give the look and feel of vintage styles—such as Colonial, European, Georgian, Gothic Revival, Victorian, and Greek Revival. 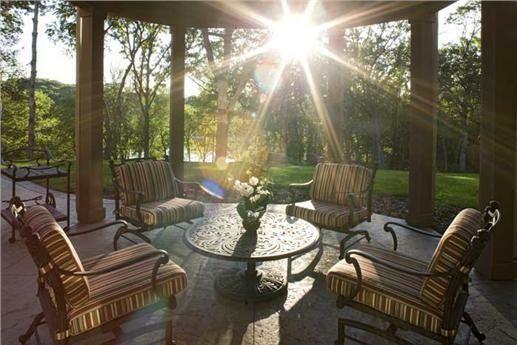 But within the homes are floor plans that are tailored for present-day contemporary lifestyles. 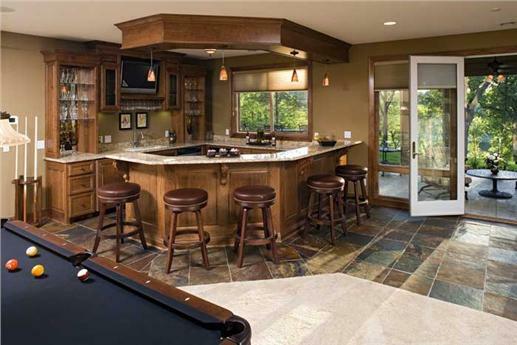 … and a game room—featuring a billiards table and wet bar—that opens into a rear patio (Plan # 165-1077). If you love porticos, gable roofs, and dormers, go for Georgian house plans. Dating back to the mid-1700s, the Georgian style is most popular on the East Coast of the U.S.—New England, New York, Pennsylvania—and the Southern states, where the English influence was predominant. 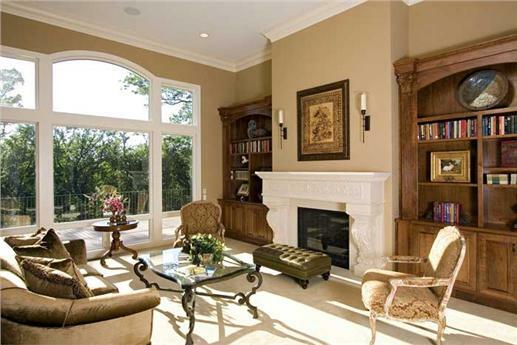 You may find the style in Virgina, North Carolina, and Tennessee home plans, among others. Stately and elegant, the Georgian home is characterized by its symmetry, balance, and proportion. Can you resist this delightful two-story Georgian style house plan, with its beautiful landscaped courtyard? Check out the paved walkway flanked by lush flowerbeds. It includes four bedrooms, a family room with a bay window and fireplace, space for formal entertaining, and a sun porch (Plan # 146-1263). 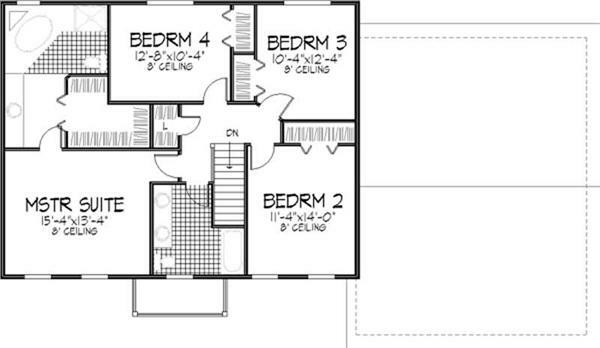 Floor plans for both the main level and second story appear below. The main-floor layout shows social spaces, and the second floor includes the private living spaces—master suite and three bedrooms (Plan # 146-1263). From 1825 to 1860, there was an increased interest in classical buildings in both Europe and the U.S. American-born architects turned toward Greek buildings as design models. 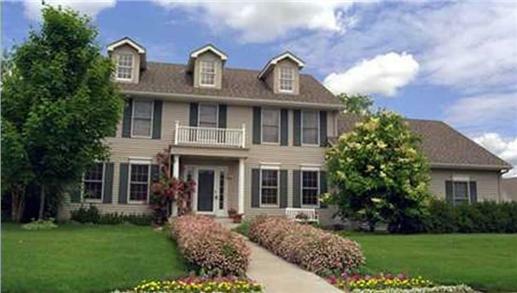 And with the waning influence of the British, Classic Revival homes were built in the South, particularly in Virginia. In other parts of the country, the style was evident in public buildings such as town halls, churches, and banks. 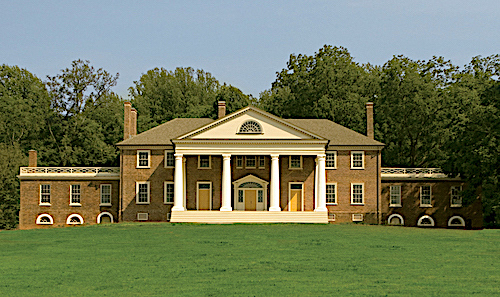 The Greek Revival style—elegant and symmetrical like the Georgian house plan—is usually two or three stories with tall columns. Homes in this style were painted white to resemble Grecian temples. Stucco, wood, and sometimes stone are the basic building materials for Greek Revival homes. Other structural elements include porches, a temple-inspired front gable, balconies, and tall windows. The style was prevalent up to the American Civil War, and its most familiar form is the Southern plantation house. 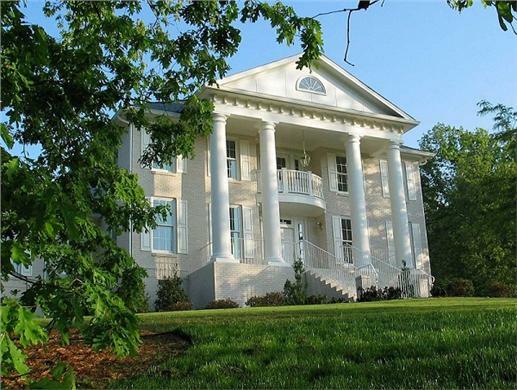 Reminiscent of the Greek Revival style is this two-story Southern house plan. Anchored by four stately columns, the home has a covered front porch, four bedrooms, eating bar, formal dining room, living room, study, and “Juliet” balcony (Plan # 178-1034). Historic house plans influenced by the collective “European” style range from quaint cottages, elegant manor homes, and rustic country residences to fairy-tale-like chateaus, complete with towers and turrets. 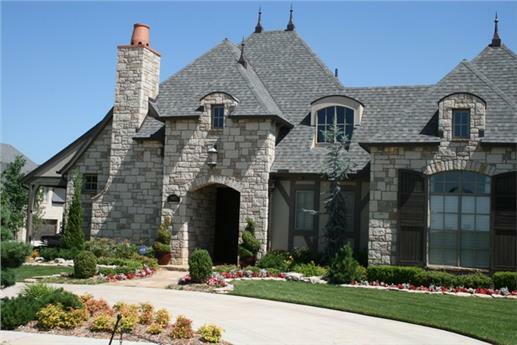 European styles deliver Old World charm and adaptable designs suited for every region in the U.S. This two-story, four-bedroom European-style home with French Country touches features a stone facade, hip roof, tower, covered entry, two fireplaces, rear patio, and open floor plan (Plan # 188-1001). From its covered arch entryway to the intricate details of its windows, this two-story European-style house exudes charm and curb appeal. The home includes a great room with a fireplace; a breakfast nook, which opens into a deck; and a keeping room to entertain guests (Plan # 106-1194). If you feel like being transported into another time, another era—and you enjoy the comforts of modern living—take a look at contemporary versions of historic house plans. Footnote: The top lead image in this article is a two-story, five bedroom Colonial home with European touches that features a library, a veranda, and a grand room with a magnificent spiral staircase. 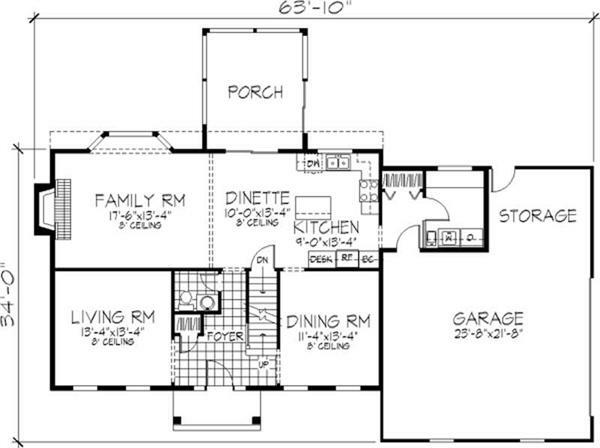 For more on the home, click here (Plan #106-1223).